High Plains Shooters Supply: Jacketed Bullets. We carry Hornaday Rejects bullets. Availability is constantly changing ("We never know what were gonna get"). These come directly from Hornady's factory. Reasons these are rejects are almost always discoloration or other cosmetic blemish. We check every bullet for diameter and weight. Call 402 276 1391 for availability and pricing. 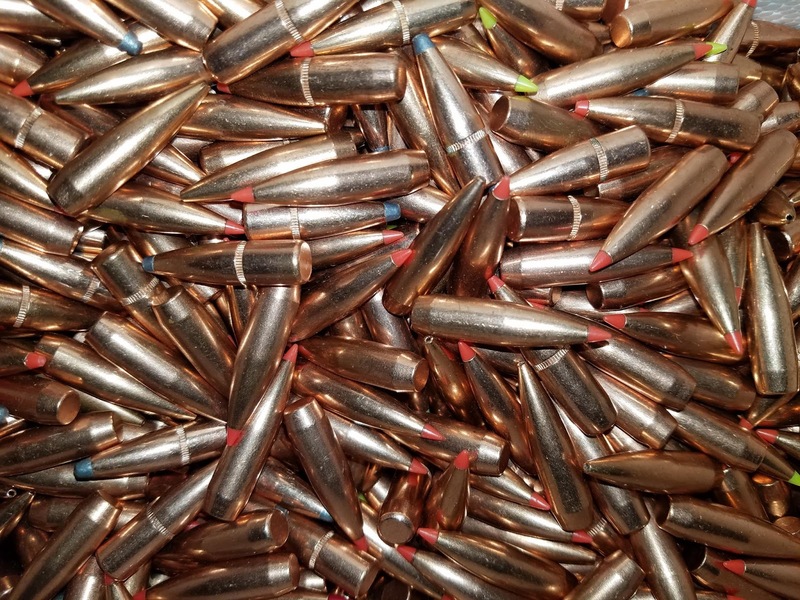 45/.451, 200gr, FMJ / RN , "pulled" bullets.